The Supreme Court, on Thursday, directed the Centre to consider connecting live Court proceedings with the National Judicial Data Grid. 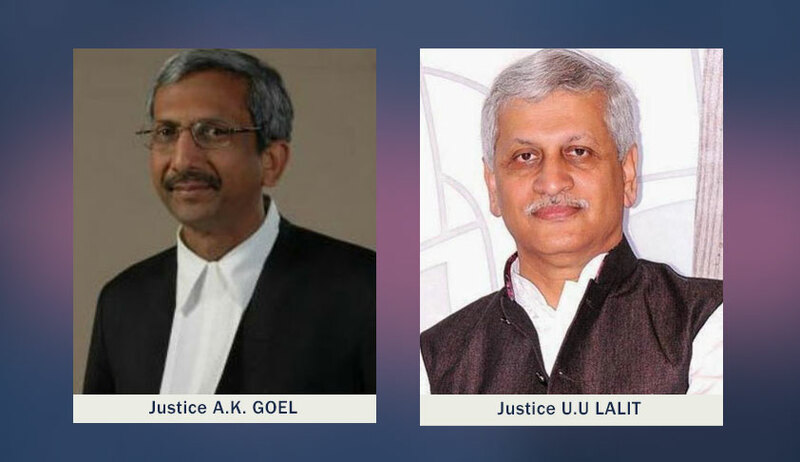 “We are of the view that proposal to connect live recordings with National Judicial Data Grid may also require consideration to which a response may be given by the Union of India”, said the Bench comprising Justice U.U. Lalit and Justice A.K. Goel. The Bench further took into account the affidavit submitted on behalf of the Centre, which apprised the Court of the status of installation of CCTV Cameras in all subordinate Courts as well as Tribunals. It then opined, "We find that the Ministry of Justice has taken commendable steps in the matter in coordinating the implementation of the direction of this Court. The Ministry of Law has coordinated the implementation of the order with regard to the Tribunals. However, it appears that lot of work still remains to be done. In respect of some Tribunals such as Debt Recovery Tribunals, ITAT, CEGAT, Consumer Fora, even information has not so far been collected." The Court went on to suggest that the authorities may consider a provision for terminal availability with appropriate superior authority of the Court or Tribunal. It further took note of the comprehensive plan of action submitted by the Punjab and Haryana High Court and observed, "The said model, may as far as possible, be adopted, if found viable at other places. A copy of this report may be put on the website of the Ministry of Justice and the Ministry of Justice to facilitate coordination with all the High Courts and Tribunals." The matter has now been listed on 11 December, with a direction to file a status report of further progress. The Court had, in March this year, directed that CCTV cameras may be installed inside the courts and at such important locations of the court complexes, at least in two districts in every State/Union Territory. Such installation had been directed to be completedwithin three months. "What privacy? This is not a case of privacy. We don't need privacy here. Judges don't need privacy in court proceedings. Nothing private is happening here. We all are sitting in front of you."